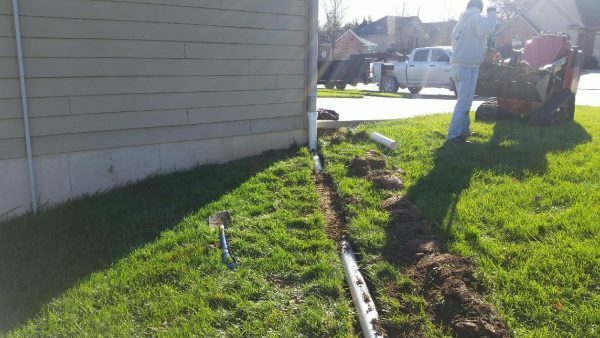 The typical do it yourself (DIY) homeowner has purchased and used the inexpensive, black plastic, corrugated pipe from Lowes, Home Depot, Menards or any other big box store. 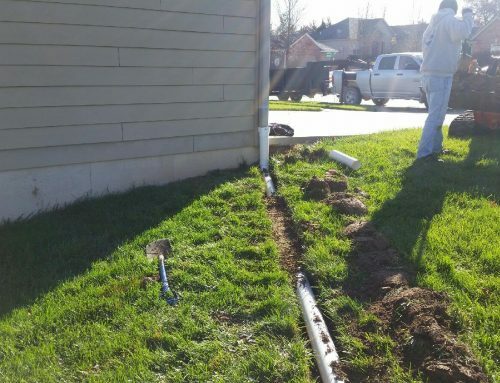 Black corrugated pipe can be fine for a cheap fix if you’re using it above ground and attaching it to your rain gutter downspouts to quickly get water away from your home’s foundation and footings. But this cheap pipe is not to be used underground. 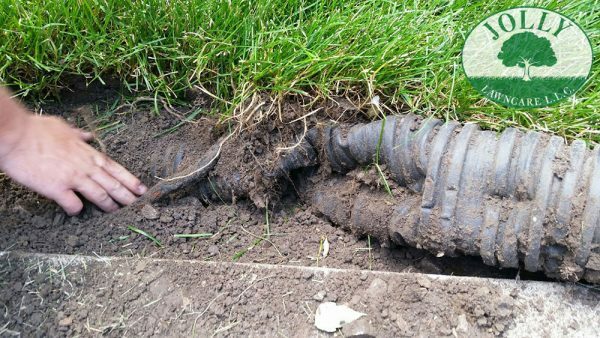 It’s a matter of when will the pipe fill with dirt and be crushed underground. Driving a riding lawn mower across the earth above this pipe, even walking across it, can cause the pipe to crush and cause a water flow problem it was supposed to be fixing. 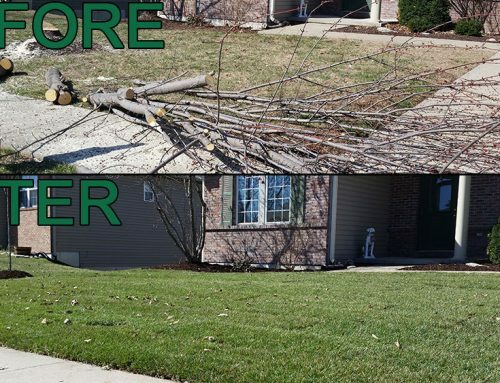 We use 3,000 Pound Crush PVC pipe which will never collapse. Mast of the corrugated pipe is perforated, which seems like a good idea, allowing the water to seep into the ground at various areas. Unfortunately that is not what you want. 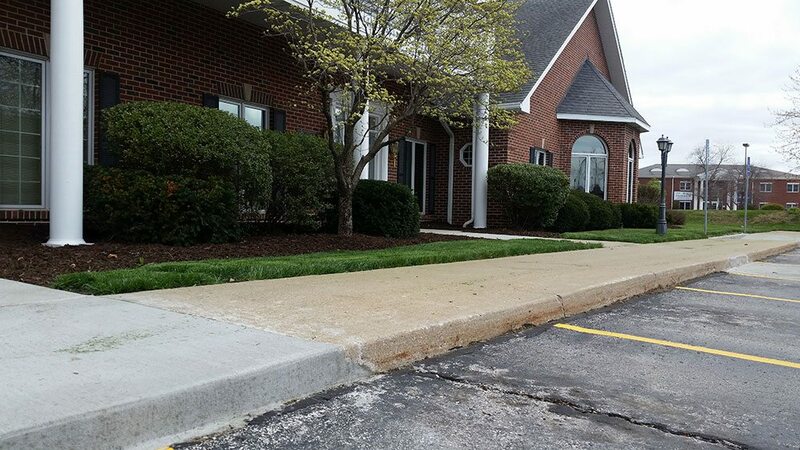 You want water to get as far away from your home’s foundation, as quickly as possible. 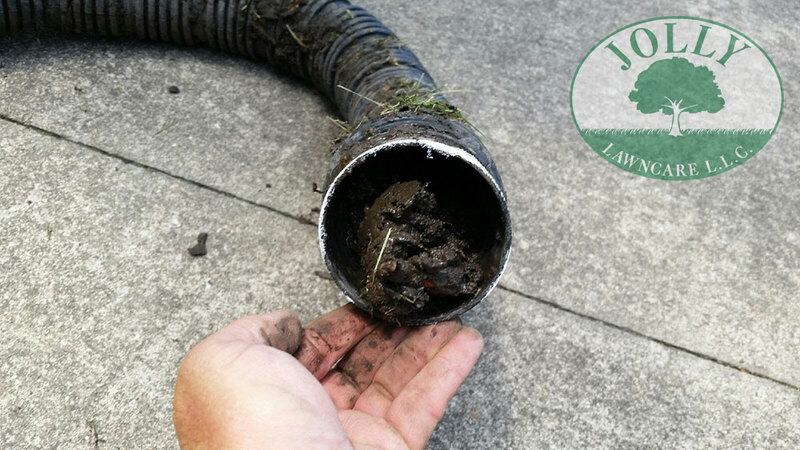 The pipe’s perforations also allow dirt, sand, mud, grass, debris and more to clog and prevent water flow. 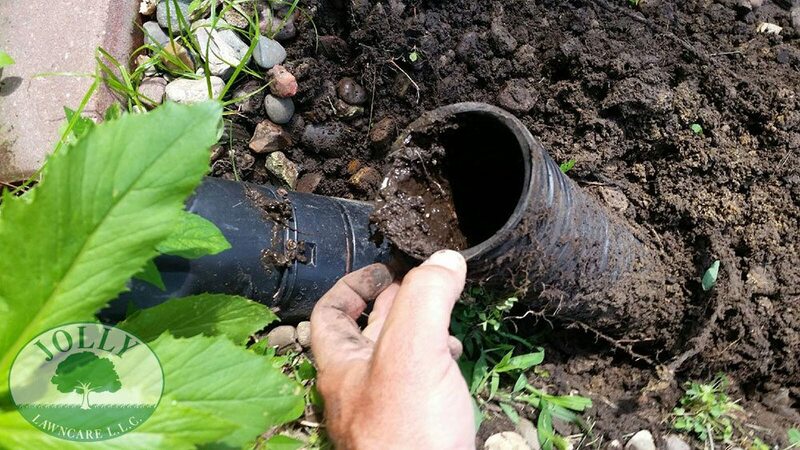 You can see this cheap pipe has filled with mud and muck right next to this home’s foundation. During a good, hard rain water is collected on your roof, whisked down your gutters, and falls through downspouts into these pipes. 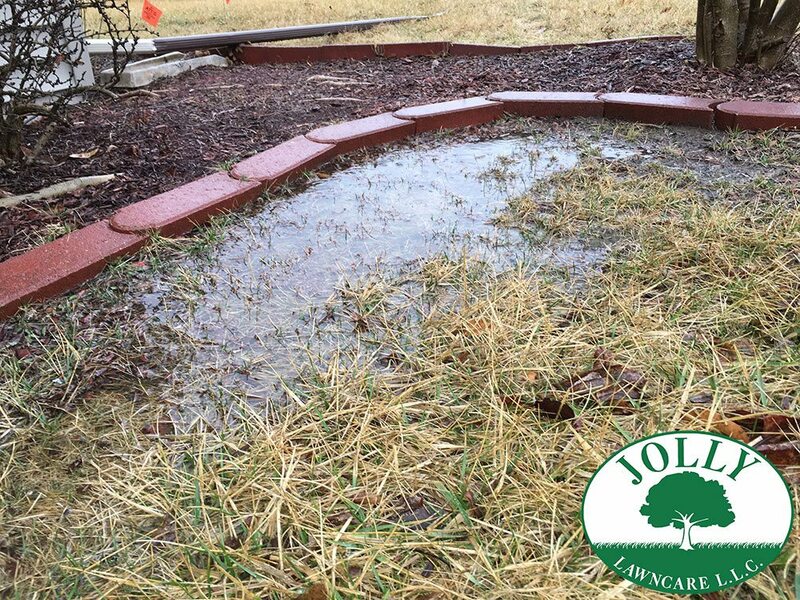 Any obstruction will compromise the water flow, allowing it to pool against your home foundation and footings. 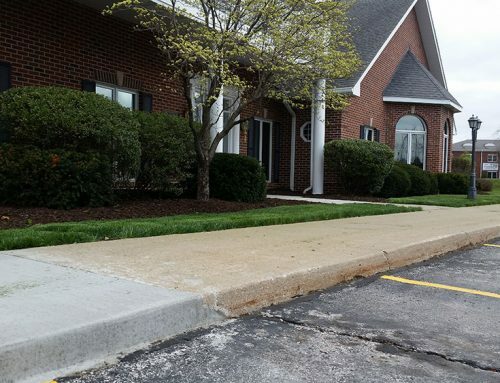 Standing water against a home causes EXPENSIVE settling and cracking. 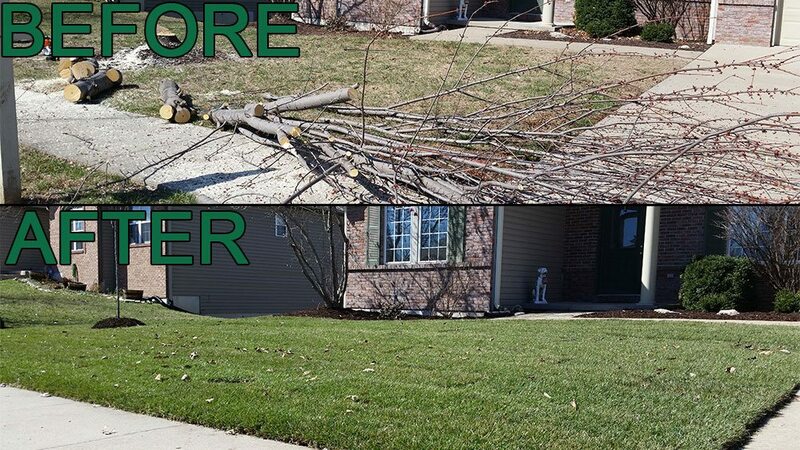 Easily prevent that by hiring Jolly Lawncare to do the job right. 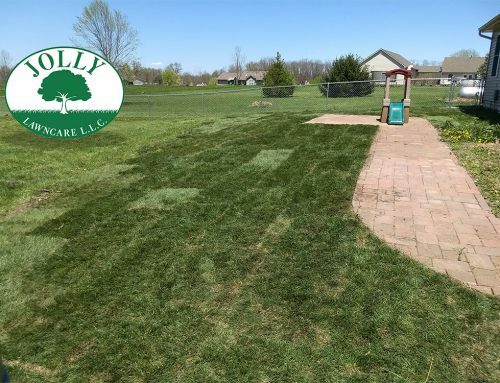 A photo from a recent drainage job Jolly Lawncare completed in Columbia, MO. This incredibly strong PVC pipe will never crush, bind, or allow mud into it through perforations. Checkout how we put your yard back and make our work nearly invisible in this recent job: Downspout Drainage Saves your Home’s Foundation.